ROMANIA – Practical information for tourists and visitors: travel formalities, currency, customs, communications, travel advisory. Romania's currency is Leu (plural "Lei" - pronunciation: lay). Foreign currencies may be exchanged at banks or authorized exchange offices (called: "casa de schimb" or "birou de schimb valutar"). International airports and larger hotels also offer currency exchange services. Current exchange rate for main foreign currencies. Romania's currency (Lei) is not readily available abroad. If you do not wish to keep your leftover Romanian Lei please make sure that, before leaving Romania, you have converted them into the currency of your choice. ATM machines are available at main banks and at airports and shopping centres. There are very, very few ATMs in remote areas or villages. ATMs that have symbols for international networks such as STAR and PLUS will accept US/ Canadian banking cards. Contrary to practice in the United States, a PIN is usually required to make credit card purchases. Many American banks allow cardholders to establish such a PIN prior to travel, in case one is needed. If you do not have a pin just tell the cashier "this is a no pin credit card". Regardless, you should notify your bank of your international travel, and the potential legitimate use of your card abroad, prior to leaving the U.S.
Preferably in US dollars or Euros, Travelers' Checks can be cashed in large banks, some hotels and selected exchange offices but most of them charge considerable commissions. Small stores and restaurants might accept U.S. Dollars in small denominations ($ 1, 5, 10 and 20) but the exchange rate offered will not be the best. Street handicraft vendors prefer Romanian currency. Cash (US Dollars) can be easily exchanged at any bank or Currency Exchange Office (Casa de Schimb or Casa de Schimb Valutar). Please note that exchange rates offered by the exchange offices at airports and other border crossing points can be 10% to 20% less than the official rate). Taxi drivers serving the airport will probably accept US Dollars but most stores in Romania will only accept lei. US Dollars are as good and popular as the Euros; you do not need to buy Euros before you leave the USA as you will have to change the Euros into Lei anyways. Entrance fees to historic buildings and attractions are rarely more than $5.00. Hotels outside Bucharest range from $65 to $150 per night/double room, with full breakfast and taxes included. A three-course dinner, for two, with wine and tip starts at $35.00 and can go up to $200.00 or more in some of the more upscale restaurants in Bucharest. However, less expensive does not mean not as good as a very expensive one. Dinner in restaurants is often accompanied by live music. Note: Although some stores, merchants or taxi drivers may accept payments in $ U.S. or other freely convertible currencies the National Bank of Romania regulations stipulate that payments for goods and services purchased in Romania should be made with Romanian money ( LEI ). Note: Prices in luxury hotels and upscale restaurants in Bucharest can be as high as those in Western Europe. 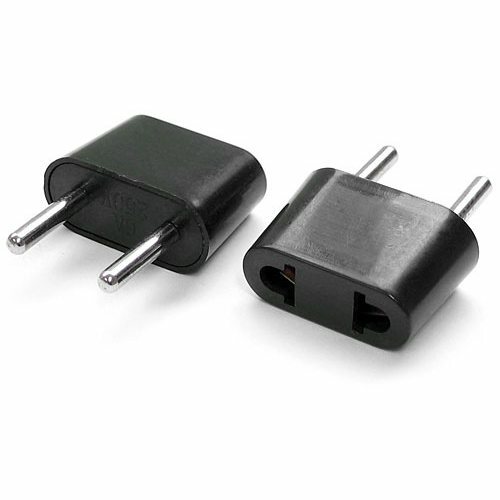 Romania's electrical current is 230 V; 50 cycles and sockets take the standard continental European dual round-pronged plugs. Three digit telephone numbers are local toll-free numbers for emergencies or businesses. Access for people with disabilities to Romania's tourist attractions has improved in recent years, and it remains a priority. However, it is advisable to check with all service providers prior to your visit, ensuring that they are able to meet your particular needs. Advance notice and reservations will also help ensure that you receive the best possible assistance. In most Romanian cities, there are no many public restrooms so your best bet might be large hotels, department stores or fast-food restaurants. Use of some public rest rooms may be subject to a small fee. Some public facilities in crowded areas, including those in trains and train stations, occasionally run out of toilet paper or might not be cleaned often enough. Carrying a packet of tissues with you is always a good idea. Restrooms signs will indicate "Femei" or "Doamne" (for women) or "Bărbați" or "Domni" (for men). Many adults in Romania are smokers and, unfortunately, some of those who do smoke have little regard of non-smokers' comfort. The Romanian Parliament recently approved legislation that bans smoking in every public/ closed space; fines are imposed on offenders (individuals or businesses). Smoking is not allowed on planes, on buses and on trains as well as in restaurants and bars. Luxury hotels have designated no-smoking floors but smaller hotels may be a little slow in designating non-smoking rooms/ floore. Smoking is also prohibited in public places such as hospitals, concert halls, and theatres. Although violent crime against tourists is almost non-existent visitors should take customary steps to safeguard their valuables. Leave your valuables and passport in the hotel's safety deposit box or use a money belt kept out of sight. Be aware of pickpockets and scam artists in major cities. For a listing of diplomatic offices in Romania please visit: www.mae.ro . "Although we did encounter some negative attitudes towards homosexuality, it was not much different from those that we've experienced in other countries. We both agree that it would not prevent us from visiting Romania again". (opinion recently expressed by a U.S. lesbian couple). Attitudes and tolerance toward lesbian, gay, bisexual, and transgender (LGBT) persons vary from country to country, just as they vary among U.S. cities and states. Most LGBT travelers encounter no problems while in Romania, but it helps to be prepared and research your destination before you go. Social conservatism in Eastern Europe, especially with regard to LGBT rights and marriage equality, has definitely had its hold on Romania until relatively recently. Romania's institutional recognition of gay rights has been in place only since 2002 but now the country's anti-discrimination and anti hate crime legislation is progressive. When it joined the European Union in 2007, Romania was required to acknowledge gay marriages from other locations. Gay-friendly cities include Bucharest, Cluj, Timisoara and Iasi. Top tier hotels should be discreet and respectful. If in doubt, ask about the establishment's level of gay tolerance before making a reservation. When you can select between a larger hotels and a small, family-type B&B go for the hotel. If you are especially concerned about discrimination but want to find like-minded locals in gay Romania, hire a guide who knows where to go and which places to avoid. Sizeable university towns are the best places for gay people to party and explore. ACCEPT is the official Romanian LGBT organization. No incidents regarding Gay travelers have been reported. However, in smaller towns social tolerance has been slow to follow and it would be wise for Gay couples to exercise caution about public displays of affection. There is a plethora of gay and gay friendly clubs where you can let it all hang out. Minimum driving age is 18. A valid U.S., Canadian, Australian, EU driver's license is acceptable for driving in Romania for 90-days from the date of entry into the country. Passengers in the front seat of a car must wear seatbelts at all times. Children under 12 years of age must ride in the back seat. Speed limits are 50 km/h (31 mph) in build-up areas, 90 km/h (56 mph) on main roads and 110 km/h (70 mph) on highways unless posted otherwise. The use of cellular phones while driving is prohibited (only hands-free devices are allowed). Driving while under the influence of alcohol is a criminal offense and penalties are severe. The police have the authority to stop vehicles at random and to perform preliminary breath alcohol tests. In case of a car accident do not leave the site, call the police and make sure that you get a copy of the Police Report. Independent travelers entering Romania by car (own or rental) need to obtain a road toll sticker, called RoVinieta. RoVigneta is available on-line www.RoViniete.ro as well as at most border-crossing points, postal offices and gas stations. Cost of RoVinieta for passenger cars: Romanian currency equivalent of $3.50 (valid 7 days) or $9.00 (valid 30 days). Banks are usually open 9:00 AM to 5:00 PM, Monday through Friday. Specialty stores (handicraft / gift / souvenir) in downtown area are usually open from 9:00 AM to 6:00 PM. Malls and superstores are open until 9:00 PM or even later. Authentic handicrafts available in specliaty stores include: embroideries, ceramics, pottery, porcelain, crystal, glassware, silverware, carpets, rugs, fabrics, wool jumpers, woodcarvings, glass paintings and more. Antiques ("Antichitati") and Consigned Goods stores ("Consignatia") often have rare items that deserve shoppers' attention. A sales tax (TVA) of 20% is added to most retail sales (9% for hotel stays and meals served in restaurants). The TVA is usually included in the prices posted in stores, hotels and restaurants. Like in many countries hotels charge an additional "local" tax (0.5% to 5% depending on the class of hotel). VAT Refund - VAT refund offices (Birou de Restituire TVA) can be found at a limited number of border crossing points and shops. You have the original receipts and store identified VAT Refund forms validated by the Customs Office (Birou Vamal). All refunds will be made in Romanian currency "Lei". If one refuses what a host offers to eat or drink, this will often be taken as a polite refusal by guest who really means to say "yes". If you want to refuse the offer find a polite excuse and say it firmly or ask for a replacement. When visiting someone at home bring a small gift. Most common gifts include flowers or chocolate (for women only), a bottle of wine or liquor. The number of flowers that one offers must always be odd. Other well-appreciate gifts include Western cosmetics (i.e. eau de toilette or after-shave) and clothing. In Romania as in many Latin countries life is lived at a more relaxed pace. Normal European courtesies should be followed on social occasions. Although casual dress is fine in most occasions, wearing a suit and tie, or the women's equivalent, is important at business meetings. Appointments are necessary and punctuality is expected. Restaurants in small towns are usually social places where people go to have drinks and discuss politics or business. Meat might be unavoidable in such restaurants and menus are usually based on pork, beef or chicken. In small towns locals do not usually eat in restaurants because, traditionally, Romanian women cook almost every day. Homemade dishes are a world apart, so if invited to have lunch or dinner with a Romanian family, do not miss the opportunity. As in most countries, independent restaurants tend to be better than hotel restaurants so do not hesitate to visit smaller, privately owned restaurants. In some regions of Romania, and especially in Transylvania, some dishes may be prepared with more fat than you might usually use. Instead of having a heavy (meat) dish for lunch, try some delicious Romanian cheese and vegetables, especially during the warm summers. Salads are usually a side order, which comes with most entrees, especially steaks. Prices listed on restaurant menus are per serving and include all taxes and service charge. However, some restaurants might post prices per 50 g or 100 g (1.75oz. or 3.5 oz.) while the actual serving can be up to 300 grams (12 oz.). If not stated clearly on the menu, check with the waiter and make sure that you are specific when you order. A few waiters may try to charge unsuspecting customers extra, claiming that the serving quantity was twice the quantity listed on the menu. Typically, each food item (except bread) is ordered (and charged for) individually, right down to the butter. If you don't want bread, say so or it will be brought to your table and added to your bill. Most restaurants only serve wine by the bottle. When serving the wine the waiter will usually ask you if you would like a little bit of sparkling mineral water to be added to your wine. Wine mixed with mineral water ("șpriț") is very popular during summer. Hot wine — with sugar and cinnamon ("vin fiert") is "the recommended drink" for cold winter days. For something stronger try hot plum brandy ("tuică fiartă") or hot plum brandy with sugar and peppercorn. Your glass of water or soft drink will not be served with ice unless specifically requested. Restaurants do not usually have a non-smoking section. Taxi drivers do not expect tips but courteous service can be rewarded. Hotel maid - the equivalent of $1.50 / day (4 Lei) or $10.00 (25 Lei) for one week or longer stays. Hotel Concierge - tipping for the answer to a simple question is not necessary but 10 Lei ($4.00) to 15 Lei ($6.00) is suitable for help making reservations or getting tickets to a show. Restaurants - although service is included a 5% to 10% tip will be appreciated. Appropriate gratuities for Hairdressers and/ or Massage Terrapist are 10% to 15%. Bellhop or Skycap - 2 Lei ($0.75) a bag. Parking valet - 3 Lei ($1.00). Romania uses the metric system of weights and measures. Speed and distance are measured in kilometres; goods in kilograms and litres; temperatures in Celsius - Centigrade. Romanian (limba romana) is the official language of Romania. The name Romania, and its derivatives, come from the Latin word 'Romanus', a legacy of Roman rulers who took control of ancient Dacia in 106 A.D. Romanian retains a number of features of old Latin, such as noun cases, which other Romance languages dispensed with a long time ago. Romanian also contains many words taken from the surrounding Slavic languages, as well as from French, Old Church Slavonic, German, Greek and Turkish. Romanian is actually easier for English speakers to understand than it is assumed. If you've studied other Romance language, such as Italian, Spanish, French or Portuguese, you may feel at home sooner than you think. Romanian is a phonetic language so words are pronounced as they are spelled.